We specialize in helping our patients to achieve a healthy, active lifestyle. We treat the whole person rather than focusing solely on injuries. This approach to therapy gets our clients on the path to living pain free through injury treatment, management and prevention. We know how important it is to keep moving and staying active. 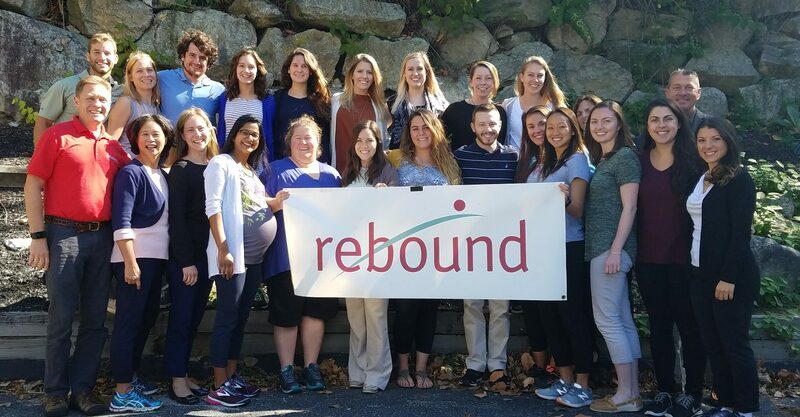 Rebound Physical Therapy was founded in 2005 by Steve Crowell with a mission to treat patients and their injuries as well as look further into the deep-seated issues that are often the cause of the injury. Most injuries are the result of inefficient movement patterns or unhealthy habits. Through identifying the source of the injury or pain, we focus each session on bringing long-term relief. In addition to our physical therapy services, we also provide massage therapy, sports management, wellness clinics as well as ergonomic training. We have an incredible team of highly skilled therapists with years of experience in physical therapy and therapeutic massage. Our therapists are committed to continuing their education, learning new techniques and methods in physical care. We believe in staying on top of advancements in the field so that we can continue to deliver the very best care. We are committed to delivering the best possible experience for our patients at every session. We listen to you and value your needs for total care.